Skiing in Pakistan has been in vogue for quite a while. Neighbourhood inhabitants of cold uneven landscape of the northern parts of Pakistan utilized extemporized wooden skis to drive in winters. 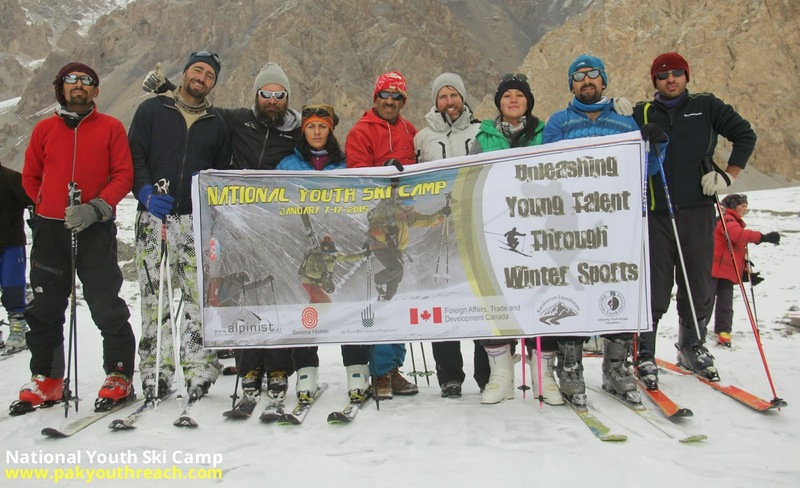 The first ever-National Youth Skiing Camp was recently organized by Mirza Ali, the founding president of Pakistan Youth Outreach Program ,The event is continuity of Youth Outdoor awareness and education Program, Mirza Ali formally spearheaded skiing by following the international tradition of keeping this game in the center of the winter sports on a countrywide level, which is sponsored by Alpinist.at ,Serena Hotel, AKRSP, Karakorum Expeditions, and Epic Energy, with the support of Stephen Keck, a professional skiing trainer from Austria.Mr.Stephan and Mr.Andreas came all the way from Austria to make this event successful! Skiing is an energizing sport, not just for the individuals who hone it but also for those who are willing to participate. This is a sport that not just adjusts physical abilities and mental coordination but also gives a hard-to-match rush of energy and a thrilling experience. Other than this, skiing gives the skier a chance to break the tedium of greatly occupied motorized urban life, and be closer to nature and far from contaminated climate. 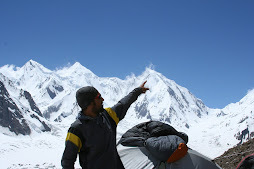 “I have taken a new challenge, new direction, and new commitment, and I am all for it, to promote winter sports and make this phenomenon common for every willing heart in my country to produce best winter sports athletes and, more importantly, people who love going in the surprisingly comforting frosty embrace of mother nature and play with powder snow,” said Mirza Ali. The state consistently gets a portion of the best snow and has a rich convention of supporting development and improvement in skiing and mountain climbing. Shimshal offers probably the most remarkable trails and exciting rides you'll ever have the fortune to discover. Misba Ali, a participant from Gulmit, Hunza shared her experience said, "This camp is intended to be a hopping off point for me, I had various memorable moments associated with the National Youth Skiing Camp, many having to do with other participants and listening to their stories, and the training we got was of the highest quality; fun being active really gave me a needed boost in athletics." Waqar Ali was simply super overjoyed about skiing and yes, that was the ah-ha moment of his going down the run," he said. "It's absolutely that twofold clench hand pump moment of "I can do this" and "I can ski," and the smile on my face and the freedom. It was really great!." Mirza Ali and his sister, Samina Baig, from the beautiful valley of Shimshal, are by-and-large taken to be the pioneers of out-door and winter extreme sports in Pakistan. The world legendary, Samina Baig is the first ever female to conquer Mount Everest in 2013. In 2014, Mirza Ali and Samina Baig also vanquished the seven highest summits in seven continents. Samina was trained and assisted by her brother Mirza Ali who is a professional climber. In addition, to preparing and coaching young athletes, the fellowship also provided a platform for youngsters to get inspiration from Samina and kept the youth engaged in solid sport activities. Mirza has experienced his affection for the outdoor in numerous climbing endeavors. Together with his sister, Samina, the rising young female climber in Pakistan, Mirza established an institution, Pakistan Youth Outreach, to promote the advance outdoor training, mountaineering, and winter sports among youth in Pakistan. The event was possible with help of Alpinist.at and Stephan Keck, Mr. Stephen keck is an Alpine Guide, Extreme Mountain Climber, Sports Photograph. He grew up in the Austrian Alps, and already had the opportunity to meet the mountains when he was a child. Furthermore, he is a professionally trained skiing and snowboard instructor.Mr.Stphan provide the equipment for skiing along Mr.Andreas, who is also a ski instructor in Austria. Annie, a participant from Hunza said, "Winter sports are tremendous for keeping up a healthy lifestyle, getting a charge out of stunning landscape and messing around with companions. The ski slope has been magnificent, sunlight and grins." Nasira was a bit nervous in the beginning, when she was going to take a ski training, she said "I would doubtlessly recommend this to a newbie. It's simple, easy, and fun. You really do focus on the movements you need to ride or ski, so you learn in a ton immediately." 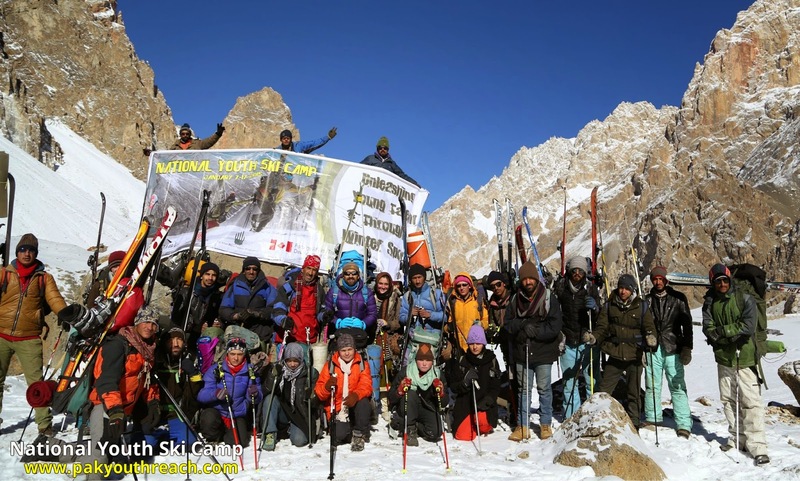 At the recent camp, there were 13 females and 20 males who came from Karachi, Islamabad, Hunza, and Shimshal. They learned how to make a wedge turn, a lead change, a breakthrough to parallel, slide a 360 on the snow, take a better line in the bumps, and even ski a steep line. The resort offers open slants, lift lines, and an extraordinary mixed bag of runs, including learner level, and inclines that won't scare the maturing skier. “You're paying for what truly matters: access to extraordinary sports. It's marvellous to see youngsters across Pakistan who have at least thought that great things never came from within the comfort zone,” said Samiya Rafiq. Speaking about her experience, participant Maria from Shimshal said, "I think particularly with winter games, there's a gigantic stigma with individuals who didn't experience childhood with skis or close to the snow that its truly difficult to get into, special thanks to Mirza Ali and Samina Baig to provide the platform for the youth and promote such a great winter sports". Zartghurban, a 4-hour trek from Shimshal valley, is the greatest or the flashiest ski range in the area, yet it has an astounding beginner program and, in its master region, Zartghurban serves up north-bound pitches. It also emphasizes the astoundingly height base of the Zartghurban at approximately 3,600 feet. Zartghurban offers extraordinary snow and a lot of space to strengthen your abilities. The beautifully positioned campsite is the perfect place to stay surrounded by nature and lovely views of the mountains.